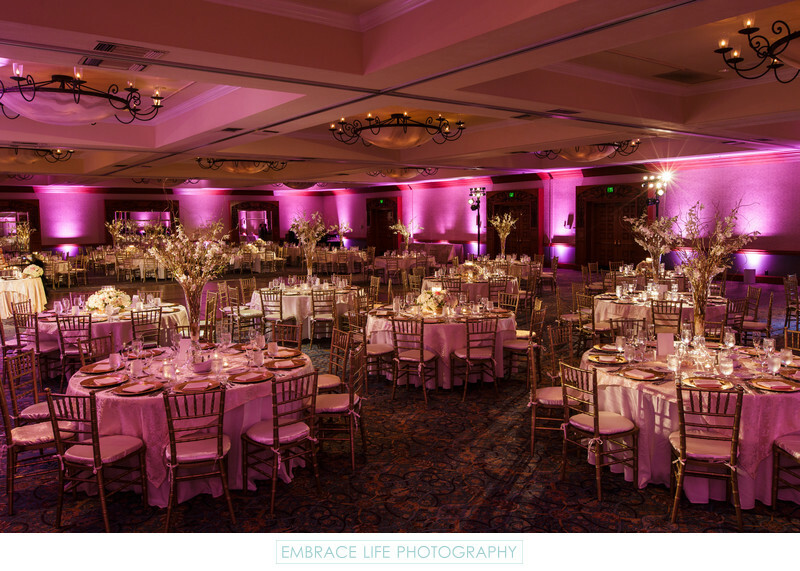 Beautiful ballroom wedding reception in Westlake Village marked by gold chiavari chairs, a mix of tall and low, white flower centerpieces, gold chargers at the place settings and pink uplighting. Location: 880 S Westlake Blvd, Westlake Village, CA 91361. Keywords: Details (1125), Reception (396), Wedding (1437).